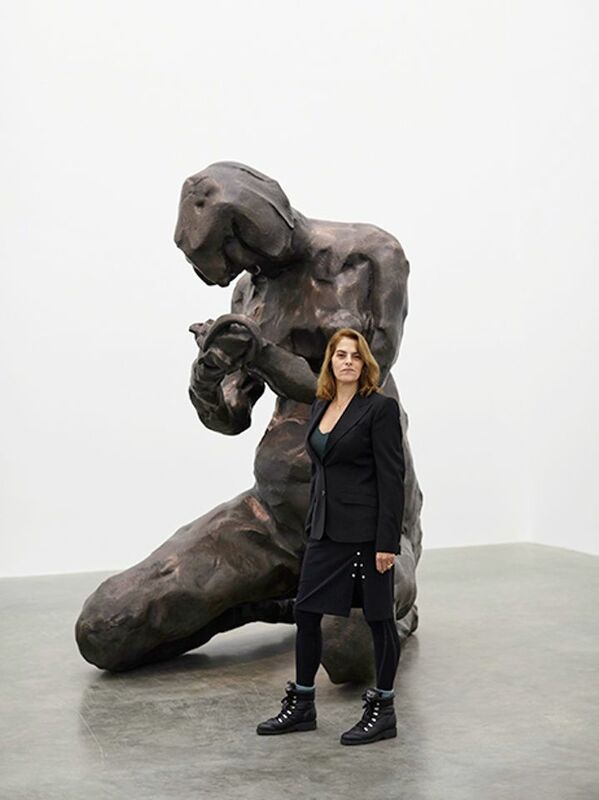 A Fortnight of Tears, Tracey Emin’s powerful new exhibition at the White Cube (until 7 April) may consist of works charged with painful memories of loss and suffering, but Tuesday night's opening (5 February) found the artist in exceptionally good spirits. 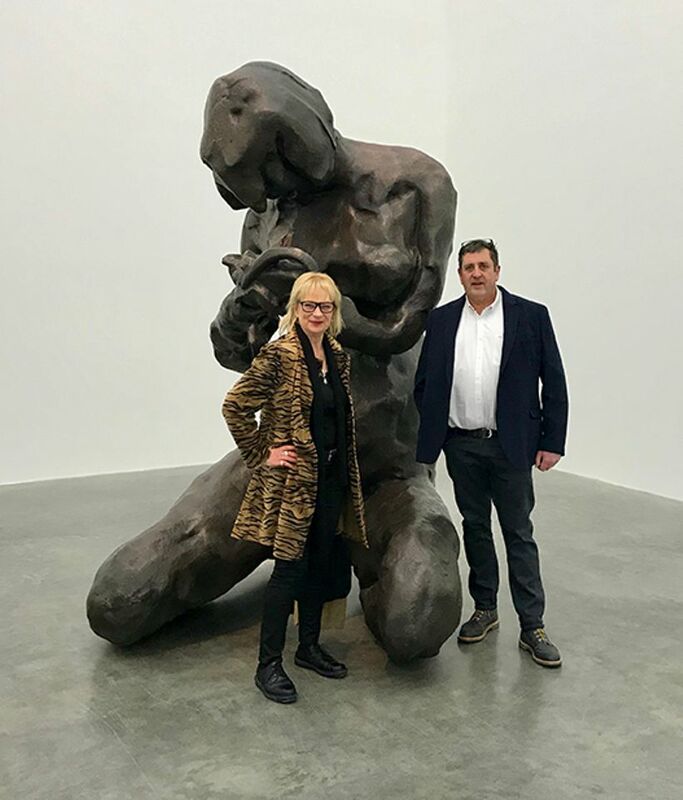 There, Emin greeted a stellar host of admirers ranging from musicians Bob Geldof, Neil Tennant and Paul Simenon to fellow artists Mat Collishaw, Abigail Lane and Conrad Shawcross, along with former culture minister Ed Vaizey and Nancy Dell'Olio. Giving both Emin and her audience particular pleasure were the trio of sculptures that mark a new departure into monumental bronze. These giant figures have been scaled up from hand-sized clay figurines with their undulating surfaces still animated by the indentations of Emin’s fingertips. Yet at the same time the scale and contours of these massive forms also evoke a sense of rolling landscape, with the crouched upright The Mother (2017) as well as the horizontal I Lay Here For You and When I Sleep (both 2018) all moving back and forth between the abstract and the anatomical in a most satisfactory way. In between receiving plaudits from streams of her friends and fans, Emin confirmed to me that she was especially satisfied with the way in which the immediate intimacy of her touch had been translated across expanses of bronze and that she had worked long and hard to achieve this effect. “It was painstaking, but worth it,” she said. This fact was emphatically confirmed by Jerry Hughes, the manager of AB Fine Art Foundry, who was keen to pay fulsome tribute to Emin’s capacity for “hard graft” throughout the casting process. This work ethic apparently extended to her grappling laboriously with full-sized polystyrene models of the sculptures delivered to her London studio specially covered in plaster and jesmonite to receive her personal touch. “It’s hard, mucky work, but it’s this mark-making that you get on the finished works,” he said. Hands-on indeed, and the evidence of Emin’s fingertips will be seen on an even larger scale when a colossal 7m-high version of one of these White Cube sculptures, The Mother, will be permanently installed on Oslo’s Museum Island next year.